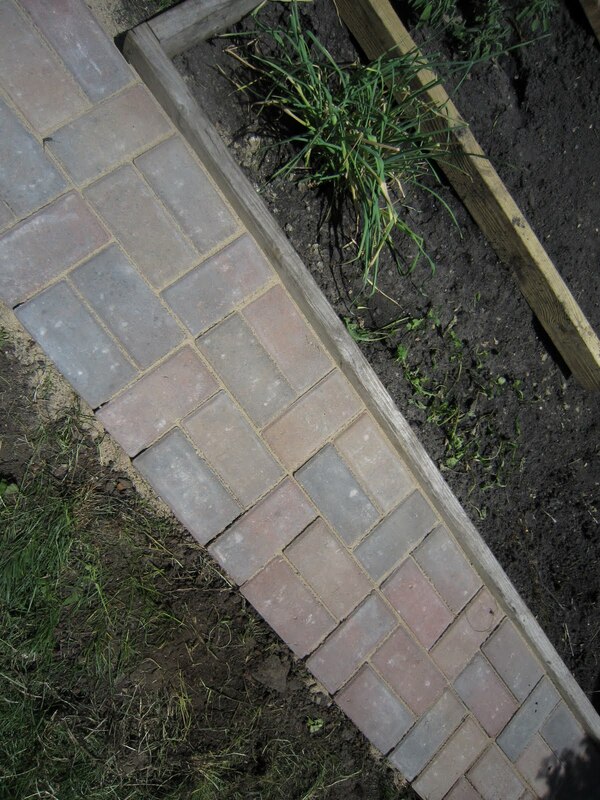 So the final step was to put the bricks into the walkway. This is a pretty straightforward process, but time consuming. First dig up all the sod wherever you want to put the bricks. Make sure you measure well, and it doesn't hurt to dig up a little extra to be safe. 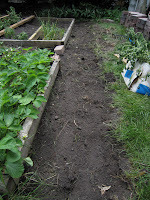 Next, I raked the dirt to make sure all the roots were out, and started leveling it. Leveling the dirt is moderately important, since sand will be used to finish the leveling, but at this time it's key to make sure no dirt is too high. You can always add sand if you dig too low, but if you don't dig enough you'll have to stop and dig later on. 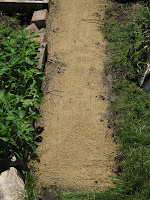 Once the dirt is level-ish, I added lots of leveling sand. Something like an inch on average over the entire thing. Some areas hadn't been dug enough and got more, some the other way around, but in the end I made sure the sand was pretty flat. I used a broom and rake for that. 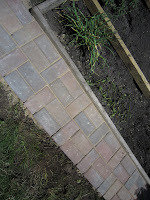 Then I started putting in bricks. 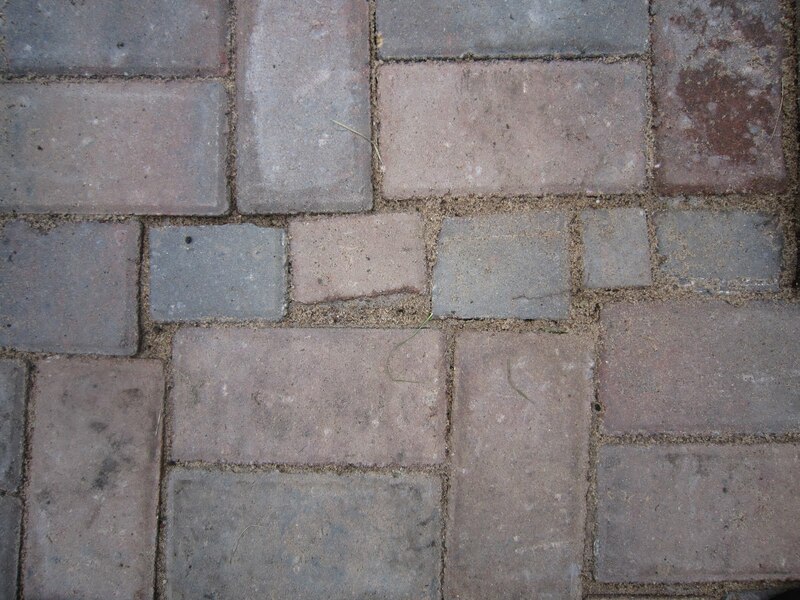 It's not hard to find some random pattern that will make the bricks look nicer than just lining them all up in a row, and it's not any harder to put them in. While putting in bricks, I kept a bag of sand next to me, in case I needed to raise the level a little (this happened frequently). 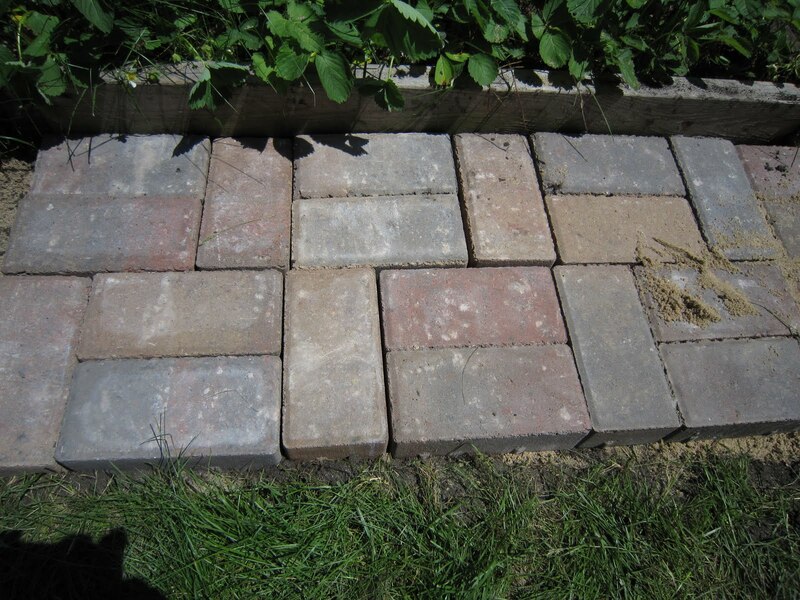 The bricks went in fairly smoothly, with a little bit of tweaking to adjust for small gaps where the two garden sections weren't lined up quite. The spaces between get filled in anyways, so it's not a big problem as long as the spaces aren't too big. 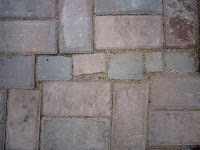 Much more important is making sure the bricks are level across the entire walkway. This is not easy, and I'd say I did a moderate to poor job of it. Once the bricks are in place, it's time to add in sand/mortar. I started by adding in more of the leveling sand I'd used in the first place. This requires lots of brooming the sand back and forth to get it to seep into the cracks. The drier the sand is, the faster this will go. Finally, I added in some sealing sand. 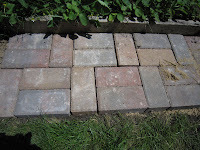 This is supposed to keep out insects/weeds and help hold the bricks together (but still be flexible). You apply this the same way as regular sand, but then get it damp a few times to get it to set. The final consistency is sort of like the rubber under a playground, but it's fused sand. If you find yourself with a space that bricks just won't fit, you can chop them up. A simple hammer and chisel can do this pretty easily (or so I've heard). I just used an ice chopper, which is pretty much a huge chisel. It didn't make clean cuts, but it got the job done. Here's the final result. Not the smoothest surface in the world, but I'm pretty happy with it, and it will definitely be a nice barrier to keep weeds out of the garden. I decided to forgo the planks to divide the garden for now because I planted peppers and tomatoes in those areas. The brick walk-way will also be very helpful for the strawberry patch (the closer of the two) which spreads like a weed if you can't keep an eye on it. woah cool. looking forward to seeing this tomorrow. 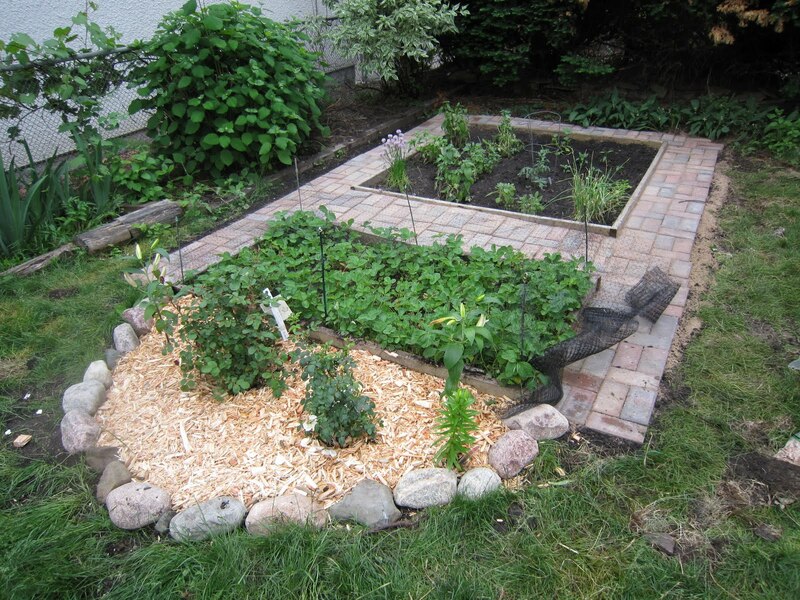 BTW, if you've got more room in your garden area....my dad and I made a strawberry mound like this one years ago...quite prolific and good at keeping strawberries under control.